Legendary director, producer, actor, writer, and artist Peter Bogdanovich was given the Honorary Maverick Lifetime Achievement Award at this year's gala. Bogdanovich's lengthy credits include The Last Picture Show, Paper Moon,What's Up Doc?, and the role of "Poppy" in the WFF 2013 Selection Cold Turkey. The ideal candidate for WFF's honorary award, Bogdanovich's achievements are challenging to summarize given the extensive nature of his success and involvement in the entertainment industry. Peter Bogdanovich was part of the wave of "New Hollywood" directors, which included William Friedkin, Brian De Palma, George Lucas, Martin Scorsese, Michael Cimino and Francis Ford Coppola. His most critically acclaimed film is The Last Picture Show (1971). Woodstock Film Festival is proud to announce the recipient of the 3rd Annual Meera Gandhi Giving Back Award as Mira Nair. Mira Nair is the rare, prolific filmmaker who moves fluidly between Hollywood and independent cinema. After several years of making documentary films, Mira Nair made a stunning entry on the world stage with her first feature, Salaam Bombay! (1988), the first Indian film to win the Camera D'Or at the Cannes Film Festival. Nair used the profits from the film's debut to create the Salaam Baalak Trust for India's street children. In 2012, Mira Nair was awarded the Padma Bhushan, India's distinguished honour for work in the arts. The Giving Back contribution Nair recieves will go towards Maisha Film Lab in Eastern Africa, a filmmakers' training lab founded by Nair in 2004 that provides the tools, education and platform necessary for East African film artists to establish themselves and build a self-sustaining film industry. Maisha now operates in Kenya, Uganda, Tanzania and Rwanda with hands-on intensives in screenwriting, directing, producing, cinematography, editing, sound recording and acting. The Forgotten Kingdom, directed by Andrew Mudge. 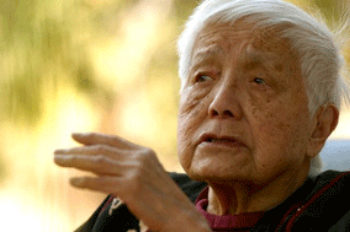 American Revolutionary: The Evolution of Grace Lee Boggs, directed by Grace Lee..
American Revolutionary: The Evolution of Grace Lee Boggs, directed by Grace Lee. Magical Universe, directed by Jeremy Workman. Director of Photography: Carlos Carlvaho. The following comment was released by Mr. Wexler regarding the film: "This year's award should go to Carlos Carvahlo, D.P. of The Forgotten Kingdom. The tough city shooting has the realistic edge of a documentary while camera moves are smooth and there are sometimes painterly frames as part of a transition to the lead character's memories of rural youth. The first frame is a lone man on a cliff. A distant, beautiful shot valid as a still, then after a beat of six the man moves out of frame. A visual transition to the urban." The Forgotten Kingdom, directed and edited by Andrew Mudge. Concussion, directed by Stacie Passon. Woodstock Film Festival is thrilled to announce the 1st Annual Tangerine Entertainment Juice Award was given to director Stacie Passon for Concussion. The Tangerine Entertainment Juice Fund is a donation-based initiative focused on changing the landscape for women filmmakers. In keeping with Tangerine's committment to outreach, the Juice Fund provides an opportunity for community involvement in directly supporting women directors and outlets for their films. The Earth, The Way I Left It, directed by Jeff Pinilla. Poustinia, directed by Kristian Berg. Recipient receives a handcrafted trophy designed by Steve Heller. 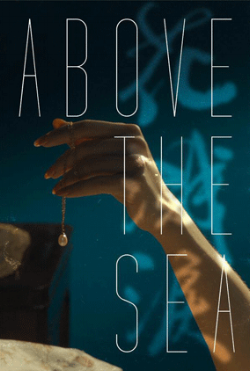 Above The Sea, directed by Keola Racela. Late Spring, directed by Zachary Kerschberg. A Tangled Tale, directed by Corrie Francis Parks.